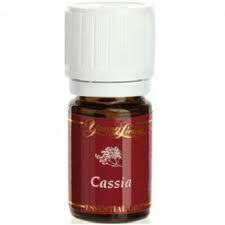 Cassia essential oil is in the same family as cinnamon and therefore is a "hot" oil. Because of this it is typically used in blends rather than alone. Although I like the taste and will often use it as a substitute to cinnamon! Historically, it was used for a natural remedy to support healthy immunity. My favorite oil blend that contains Cassia is Exodus II. As I receive new tips and testimonials for Cassia Essential Oil they will be added to the page, so check back frequently! Cassia Oil is only available in the Twelve Oils of Ancient Scripture Kit, but that collection can be purchased at The Oil Shop! Where did the name come from? Cassia derived from Hebrew "quddah", meaning "amber" or "quetsioth", meaning "bark like cinnamon". Greek work is "kasia" meaning trees that resemble acacias. Did you know that Cassia was contained in the recipe for the Holy Anointing Oil given to Moses? Yes, the blend included Myrrh, Cassia, Cinnamon, Calamus and olive oil! What are the Documented Uses and Benefits of Cassia Essential Oil? May support natural body's defense system. What is the Aromatic Affect on the Mind? Its spicy and hot aroma is stimulating. What is the Spiritual and Emotional Influence? Although Cassia oil is considered a hotter oil than Cinnamon, I find the energy vibration of the oil softer. I would consider cinnamon an oil that is more of a purgative on an energetic level, while Cassia takes a quieter more gentle approach. Cassia essential oil helps to release the energy of worthless, unimportant and suppression that keeps us separate from our higher self and our divine source. I get that this was why it was used in the Holy Anointing Oil given to Moses. This oil helps us know that each of us are free and have an important part to play in our own and others spiritual journey. But we need to recognize this for ourselves. It is only our self that really suppress’ our connection to God and our spiritual freedoms. Can this Oil be used for Animals? Yes, but honestly such a hot oil, I would use the blend Exodus II, or other gentler oils with similar properties. Note about Animal Use: Certain oils can be very toxic to cats Citrus and pine oils in particular when using non therapeutic grade oils. Please consult your vet if you are not sure about applying any essential oil to your pet. What are the Safety Precautions? First, only use therapeutic grade essential oils for best! Cassia essential oil is Generally Regarded as Safe (GRAS) for internal consumption by the FDA. Although it may be used as a dietary supplement, it is advised not to use it in this manner for children under 6 years of age. This oil can create extreme contact sensitization and skin irritation. May also irritate the nasal membranes if diffused. Women who are pregnant should not use this oil. 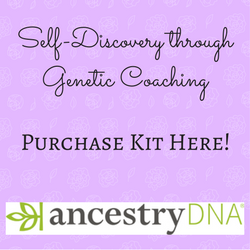 Did you know that Cassia was recorded in one of the oldest known records? Yes, it was in the Ebers papyrus an ancient book contain 877 recipes. Did you know that Cassia is mentioned three times directly in the Bible? Yes and mentioned over 65 times indirectly. Was an important oil of ancient times. Want to Purchase Therapeutic Cassia Oil? Put Cassia on your tongue – tastes like Red Hot Candy! I prefer the flavor over Cinnamon!